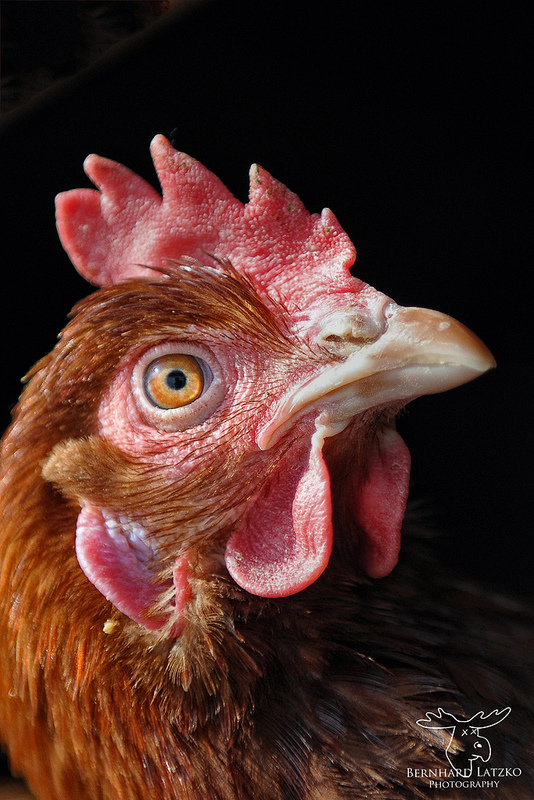 Leading animal behavior scientists from around the globe know that chickens are inquisitive and interesting animals whose cognitive abilities are in some cases more advanced than those of cats, dogs, and even some primates. When in their natural surroundings, not confined to factory farms, chickens form complex social hierarchies, also known as “pecking orders,” and every chicken knows his or her place on the social ladder, remembering the faces and ranks of more than 100 other birds. Scientists agree that chickens’ complex social structures and good memories are undeniable signs of advanced intelligence comparable to that of mammals. People who have spent time with chickens know that each bird has a different personality that often relates to his or her place in the pecking order. Some are gregarious and fearless, while others are more shy and watchful; some enjoy human company, while others are standoffish or even a bit aggressive. Just like dogs, cats, and humans, each chicken is an individual with a distinct personality. Their communication skills are just as impressive. They have more than 30 types of vocalizations to distinguish between threats that are approaching by land and those that are approaching over water, and a mother hen begins to teach these calls to her chicks before they even hatch. She clucks softly to them while sitting on the eggs, and they chirp back to her and to each other from inside their shells. via The Hidden Lives of Chickens | PETA.org. I have been on the hunt for legitimately free range/cruelty free eggs since I moved to Jo’burg. Your farm looks lovely, where could I buy your eggs near Sandton? We only sell in the Western Cape and we don’t sell live chickens at all, sorry!